$49.99 to $79.99 & FREE Shipping on orders over $59 $35. Achieve a perfect whirlpool everytime with Blichmann's weldless whirlpool kits. They come with 3 different options for the valves. 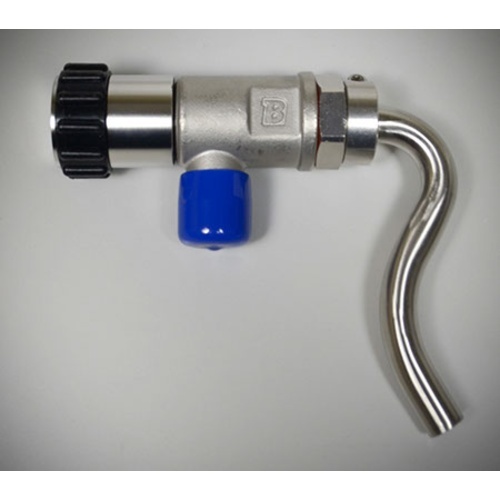 You can get the Blichmann linear flow valve, a 3 piece ball valve, or a 1.5 in TC butterfly valve. Regardless of which valve you choose you can hook up a pump and get a strong whirlpool action to help you settle out some of that unwanted trub! Note: These kits require a hole in your kettle of about 13/16 in. You may drill this hole yourself using the instructions in the documents tab or use these kits if your kettle already has a hole. 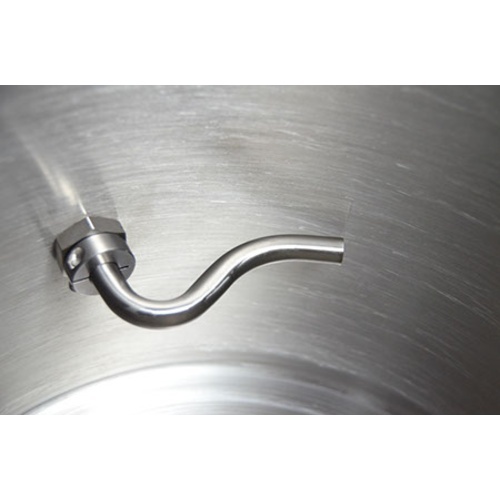 Moving a high-port whirlpool arm to the bottom of the kettle for easier cleaning. I am hoping this will improve my whirlpool. can I buy just the G2 valve? 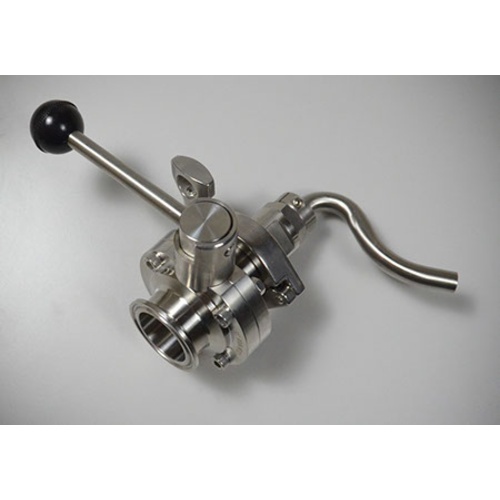 BEST ANSWER: Hello Kelly - Individual valves can be purchased from Blichmann directly. In the installation instructions I don't see any mention of Teflon tape. Do you need to tape the threads to get a watertight seal? 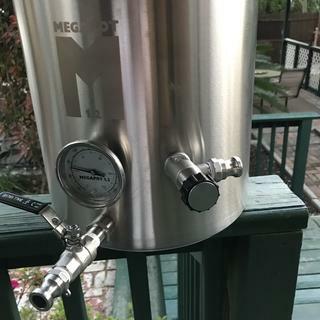 I installed this on the boil kettle of a new 27 gallon setup I acquired and first used it this weekend. Install was as easy and fast as drilling stainless steel can be. The linear valve fully disassembles for easy cleaning and it is nice to be able to control the speed of the whirlpool pending on what you are using it for. 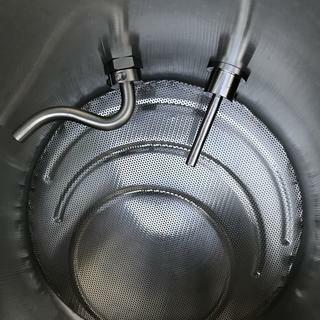 I initially used it so mix the runnings from the mash tun (I still stirred the hell out of them to make sure initial gravity readings were correct) then I used it at the traditional whirlpool. It also worked well when cleaning with PBW and Starsan. I wish I had this a lot sooner as it super useful. I would highly recommend this product. Best addition to my kettle so far!!! Very well made, seals tightly, easy to remove the inside tube to clean. Outside will pull out if you unscrew it enough and you can clean it as well. Well worth the money!! I bought the linear valve version of the whirlpool kit and it's killer. Super easy install and the linear valve makes it easy to adjust the speed of the whirlpool to whatever you need. Excellent addition to my brewing setup. Highly recommend for a great Whirlpool and less Tru. well designed and constructed performs perfectly. bought this with the riptide. Great product as always from Blichmann. Works well. Would recommend. Easy to install, works as advertised. Need to make sure you have the right bits to get through SS#304, but once installed works nicely. 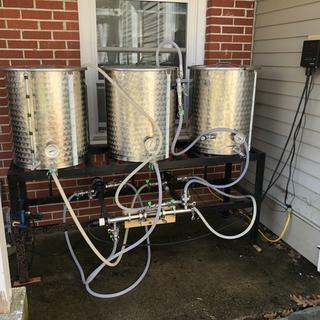 I connected with Blichmann RipTide pump, added quick connects to pump and whirlpool, making switching from whirlpool to plate chiller a breeze. I have been wanting to whirlpool in the kettle for a while, didn't have the time to develop something. 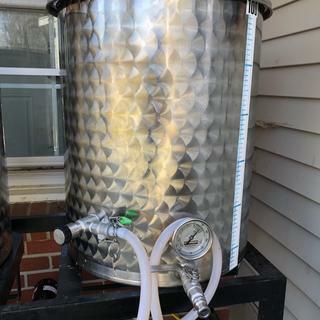 This is a quality product that will help you to chill your wort when using an immersion chiller or, what I also use it for with great results, is a kettle flame out hop addition, I'll chill the wort to 160f, stop the chill water, add pellet hops, and whirlpool for 10-15 min. Awesome hop aroma and flavor addition, similar to a hop back, but much easier. The arm is adjustable for different kettle volumes. No leak when installed as per instructions.